With the growth of ransomware families by 600% in 2016, there is no slowdown in sight for one of the worst malware variants in history. 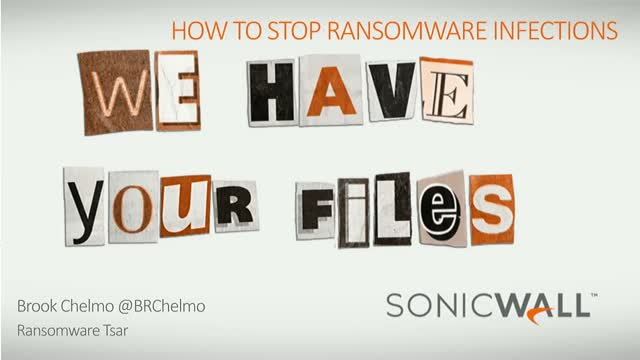 SonicWall’s security researcher and advocate, Brook Chelmo, will talk about the impact of ransomware as well as other advanced persistent threats such as zero-day attacks. SonicWall has the expertise and resources to help you stay ahead of developing threats.